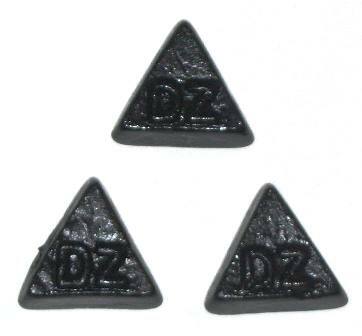 Dubbel Zout Driehoekjes are an absolutely delicious soft double salt triangle shaped Dutch licorice. These are a nice variation on the traditional DZ round licorice because they are soft. We also have these available on our bulk page in a 1 kilo bag, 1000g Dubbel Zoute Driehoekjes, at a nice savings per pound.